Early Android Wear adopters might have tried out music recognition app EchoWear, but let's be honest: it's not quite Shazam, is it? But the best-known music matching service is looking at Google's wearable OS, hinting that we may see an app sooner rather than later. 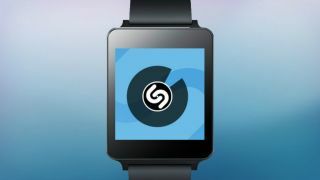 "We've experimented with Android Wear, we've experimented with Google Glass, so for sure that's an area that we're looking at, and it fits right into the logic of technology that fits more seamlessly into our lives," Shazam Chief Product Officer Daniel Danker told TechRadar. In fact, Shazam's already put out an app on Google Glass exclusively for the UK, which we're sure is awesome. We'll just have to ask one of the ten people who actually own one. As with the new Shazam for Mac, an Android Wear version could potentially have an always-listening feature, which would quietly match those tunes as you go about your day. The LG G Watch is a cool gadget, but how is it actually usefly?